TCA: Once Upon A Time In Wonderland: So How Does The Spin-Off Fit In? Once Upon A Time: “Queen Of Hearts” Trailer & New “Into The Deep” Behind The Scenes Pics! 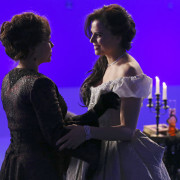 Stephanie Hall reviews the April 1 episode of Once Upon A Time. A short description for the April 1 episode of Once Upon A Time, titled Stable Boy, has surfaced.